Three Seattle-area families are among the people issuing a challenge in federal court against what they call a “chaotic” system on granting waivers to people in five predominantly Muslim countries banned from entering the United States. Three Seattle-area residents and one spouse are among 15 people who are suing the federal government to have the waiver process overhauled with consistent and publicly announced rules on seeking the exemptions, the groups announced on Wednesday. Pamela Whitehall Raghebi, a native-born United States citizen who lives in Seattle, and her husband, Afshin Raghebi, an Iranian national who is in Turkey awaiting the approval of his waiver, according to the lawsuit. The Raghebi family has been married for seven years, and Afshin Raghebi lived in the United States for 12 years. Zeinab Mohamed Hassan, a naturalized U.S. citizen of Somali origin who lives in Kent. She is awaiting waiver approval for her two adult daughters displaced from Somalia and currently residing in Kenya. 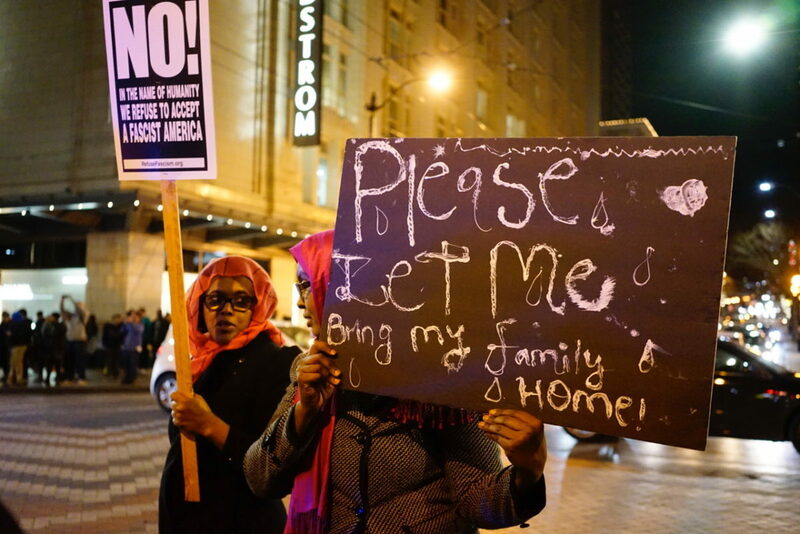 Siraji Etha Siraji, who is a naturalized U.S. citizen of Somali origin living in SeaTac. He is awaiting approval for his pregnant wife, who a refugee displaced from Somalia who is living in Kenya. She has their three children with her, who are U.S.citizens. The individuals are trying to reunite their families, said Paris Etemadi Scott, managing attorney of the California-based Pars Equality Center in a telephone press conference on Wednesday. “It’s not about victory on court or political stances. It’s about keeping families together,” Scott said. 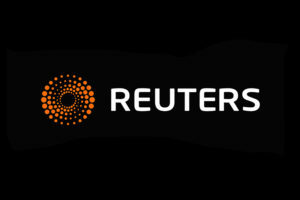 A state department spokeswoman told The Seattle Globalist that the department does not comment on pending litigation. 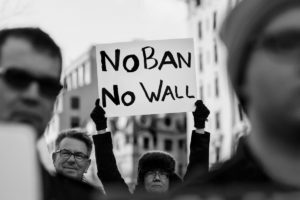 Last year, the Trump administration issued a ban on visas from seven nations — Iran, Libya, North Korea, Somalia, Syria, Venezuela and Yemen. Five of those countries are predominantly Muslim, but the U.S. Supreme Court ruled on June 26 that the ban did not violate the constitution. The lawsuit filed this week claims that reviews of waiver requests vary greatly not only from consulate to consulate, and from officer to officer in each consulate. The plaintiff’s exhibits include a June 1 affidavit from former Madrid consulate attorney Christopher Richardson — who left the federal state department on March 1 — that consulate officers received instructions to find ways to deny applications for waivers to the ban. If a waiver appeared eligible to be granted, the consulate had to referred the applications to Washington, D.C., for a final decision, he wrote. “It’s chaotic and opaque,” Scott said. The plaintiffs’ exhibits also included a memo from the state department to U.S. Sen. Chris Van Hollen, D-Maryland. The memo said 33,176 people applied for waivers from the travel ban from Dec. 8, 2017, to May 31, 2018. Of that number, 768, or 2.4 percent, were granted waivers. The resolution of another 4,157 applications — 12.2 percent — are still in limbo, the memo said. 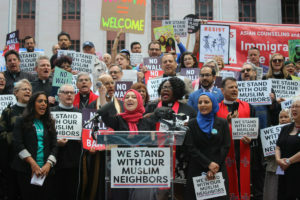 The Washington chapter of Council on American-Islamic Relations reported that it has received at least 100 calls related to the waiver issues, with more than 10 specifically requesting help in dealing with waivers, said Masih Fouladi, executive director of CAIR-WA. Fouladi said that might not be all the cases. “We think those numbers are a small portion of the impacts on the community,” Fouladi said. 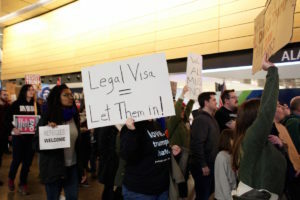 Nine organizations, including two from Washington state, joined the individuals in the lawsuit against the Department of Homeland Security; U.S. Department of State; and U.S. Customs and Border Protection, as well as Secretary of State Mike Pompeo; Secretary of Homeland Security Kirstjen Nielsen; and Customs and Border Protection Commissioner Kevin K. McAleenan. 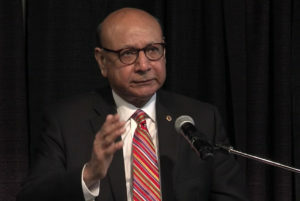 The organizations who joined the lawsuit are Asian Americans Advancing Justice, Council on American-Islamic Relations – California; Iranian American Bar Association; Lane Powell PC; National Immigration Law Center ; Arnold & Porter Kaye Scholer LLP; CAIR-WA; and OneAmerica. Tags: Muslim ban, travel ban.